Cherio is Child.org’s first Kenyan employee. She is spearheading Child.org’s move to project-manage our programmes more directly. Cherio works in collaboration with our long-standing partners to manage our HealthStart programme, to ensure it is delivered in full and we are able to report our success comprehensively to our partners at Comic Relief. Cherio is passionate about the health education of pupils. She recently saw an opportunity to improve pupils’ health education by creating a School Health Training Guide. The new guide is based on Government School Health Policy, but designed to be used by teachers and Student Health Clubs to foster a culture of student advocacy and peer-to-peer learning. 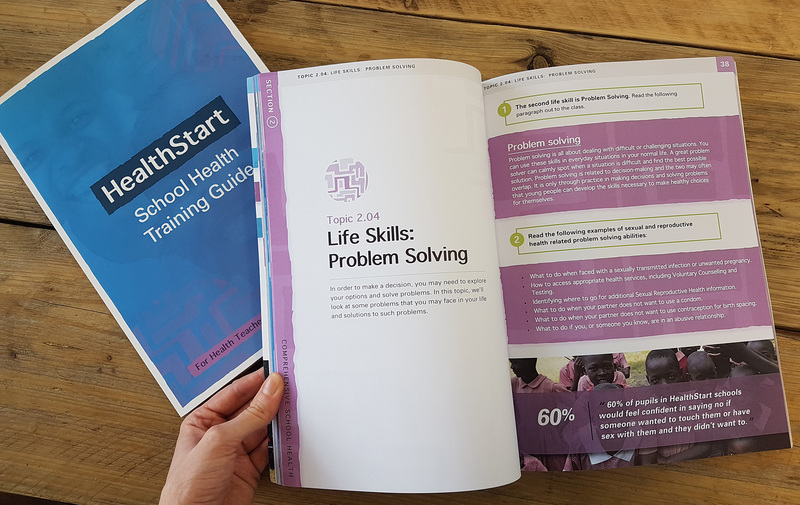 It covers everything from clean water and nutrition to sexual health and healthy relationships, and was distributed to all HealthStart schools. Read more about the guide here!